We study the mechanism and regulation of protein synthesis in eukaryotic cells. Protein synthesis is part of the process of gene expression whereby cells decode the genetic information held within the genome and convert these molecular instructions into proteins. Cells only make the proteins they need when they are required. Organisms also have to adapt to changing environments and stresses (temperature, sunlight, infection etc) and adapting the set of proteins made by cells contributes to the adaptability of life. We use baker’s yeast (Saccharomyces cerevisiae) as a simple cellular model organism to study the molecular mechanisms controlling how cells regulate the sets of proteins that they require. Because of evolutionary conservation of mechanisms, insights gained from our studies are relevant to human cells and human diseases. For example we are studying genetic disorder called vanishing white matter disease (VWM) that causes a rare fatal inherited human disease. Graham Pavitt is a Professor within Faculty of Biology Medicine and Health (FBMH). He obtained an Honours degree in Microbiology and Virology from The University of Warwick (1988) and his D.Phil in Biochemistry from the University of Oxford (1992) studying gene expression mechanisms under the direction of Prof. Chris Higgins. Graham undertook postdoctoral studies at the National Institutes of Health, Bethesda USA in Dr Alan Hinnebusch's laboratory, where he developed his interests in translational control. He was funded by a post-doctoral fellowship from the European Molecular Biology organization (EMBO) and then a John Fogerty International Fellowship. In 1998, Graham returned to the UK with a Career Development Award from the Medical Research Council. He set up his laboratory at the University of Dundee, and in 2000 moved south to Manchester with a University Lectureship within the Biomolecular Sciences Department at UMIST. Following the merger of UMIST and the Victoria University of Manchester in 2004 Graham joined the Faculty of Life Sciences (FLS). He was promoted to Senior Lecturer in 2005, Reader in 2009 and Professor in 2013. FLS became FBMH in August 2016. Graham has built his research group with funding from BBSRC, The Wellcome Trust, the European Leukodystrophy Association and the EU. 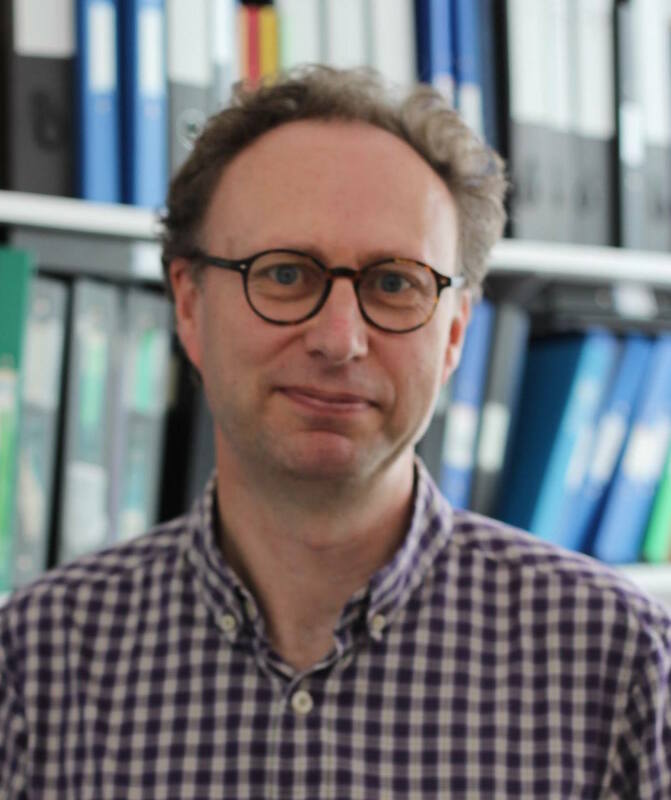 His work focusses on understanding mechanisms and regulation of gene expression at the translation step - where mRNA is decoded into protein. Graham has co-organised several national conferences on translation (1999, 2002, 2005, 2008) and yeast (2001, 2015). He has served on the Biochemical Society 'Genes' theme panel (2003-2006) and was a member of the Biochemical Journal Editorial Board (2004-2012). Graham has been awarded two University Distinguished Achievement Awards: Researcher of the Year in 2011 and Teacher of the Year in 2014. Translation reprogramming is an evolutionarily conserved driver of phenotypic plasticity and therapeutic resistance in melanoma. The 4E-BP Caf20p Mediates Both eIF4E-Dependent and Independent Repression of Translation. Integrated multi-omics analyses reveal the pleiotropic nature of the control of gene expression by Puf3p. The yeast La related protein Slf1p is a key activator of translation during the oxidative stress response. Identification of intersubunit domain interactions within eukaryotic initiation factor (eIF) 2B, the nucleotide exchange factor for translation initiation. The Alpha Subunit of Eukaryotic Initiation Factor (eIF) 2B is Requisite for eIF2-Mediated Translational Suppression of Vesicular Stomatitis Virus. eIF5: A dual function GAP and GDI for eukaryotic translational control. Purification of FLAG-tagged eukaryotic initiation factor 2B complexes, sub-complexes and fragments from Saccharomyces cerevisiae. Purification of Flag-tagged Eukaryotic Initiation Factor 2B (eIF2B) Complexes, Sub-complexes and Fragments from Saccharomyces Cerevisiae. Methods Enzymol. An eIF5/eIF2 complex antagonizes guanine nucleotide exchange by eIF2B during translation initiation. Conserved bipartite motifs in yeast eIF5 and eIF2Bepsilon, GTPase-activating and GDP-GTP exchange factors in translation initiation, mediate binding to their common substrate eIF2. Protein H1: A role for chromatin structure in the regulation of bacterial gene expression and virulence? Global mRNA selection mechanisms for translation initiation.